Helen chose a gorgeous Cornish afternoon for her photo shoot. We started in some corn fields, before moving on to find a field of bales and some woodland. The light was perfect and softened as the evening drew in, and we were even able to get a few sunset silhouettes, which you can see HERE along with some other photos from the shoot. 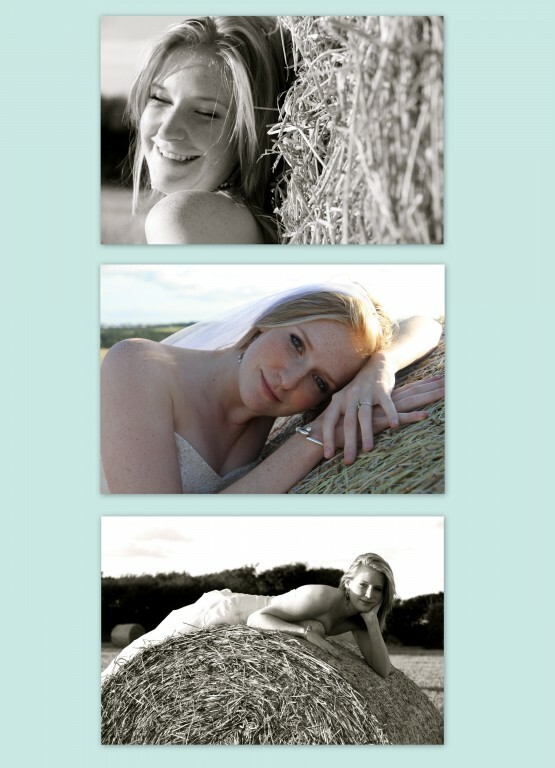 I am pleased to say that Helen had a lot of fun, and is now considering a Trash the Dress session with us! This post was posted on Wednesday, August 31st, 2011 at 11:09 am and is filed under Cherish the dress, Cornish Corn Fields, Rock the Frock, Sunset Photography, Trash the Dress.